Indian Railways Starts Mobile Ticketing Facility- Goodbye Ticket Print-outs! 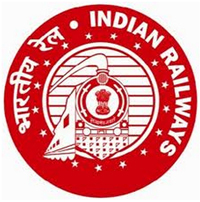 The mobile ticket booking application launched by the Indian Railways is functional now and it will enable users to book their railway tickets through their mobile phones. The booking process on mobiles is similar to the online booking process, where tickets can be booked all through the year, but the booking remains closed between 11:30pm to 12:30am. There is a choice between the type of booking applications and they can be downloaded from either IRCTC Mobile Application (ATOM), IRCTC Mobile Application (ngpay) or IRCTC Mobile Application (PAYMATE). We had earlier written about the launch of the facility but it was not active at the time. To use the new facility, users will first have to register on the Indian railways website or the IRCTC site and get a unique ID for booking railways tickets. Then users can download the booking application on their mobiles (on the models that can run the application) and follow simple steps to book their tickets. The booked ticket will then be sent to the user via SMS on their registered mobile phones within 20 minutes of booking the ticket. The user can then use the SMS as a valid proof of booking and he/she has to just show the SMS to the ticket collector, backed up by a valid photo ID to travel on train. The mobile ticket cannot be forwarded or transferred and each session allows users to book a single ticket for up to 6 passengers. We tried all 3 applications and my favourite one happened to be the 'ngpay' one. All you have to do is open the link and enter your mobile number in the space provided on the website. An SMS will be sent to the mobile number entered with a link where the mobile app can be downloaded. The user needs to open the link on their browser and then they can download the app on their mobile from the download option on the website. Although the atom and the ngpay app figure out your mobile model while downloading the app, the 'paymate' app requires you to add the model and make of the mobile. Once downloaded, you can easily access the app and book tickets from them. The ngpay app was relatively basic and simple to use and I had no problem navigating through it. To use the app you will require a GPRS activated handset or a handset with an active internet connection. Indian Railway is the fourth largest railways network in the world and this initiative will help users in a big way. Firstly people won't have to stand in long lines to book their tickets and then they don't have to carry print-outs of tickets every time they book an e-ticket and most importantly, they can book tickets from anywhere, anytime literally while they are on the move. The new service is basically a part of the new railways website www.indianrailways.gov.in launched recently, which provides E-ticket booking, train schedule, train status, seat-availability, PNR status and fare among others (although if you visit the site, the E-ticket booking facility has been stopped as of now).